It is hard to imagine what life was like before the internet, and everything people can find uploaded on the world wide web. There are a million answers to different questions, and also solutions to every problem. 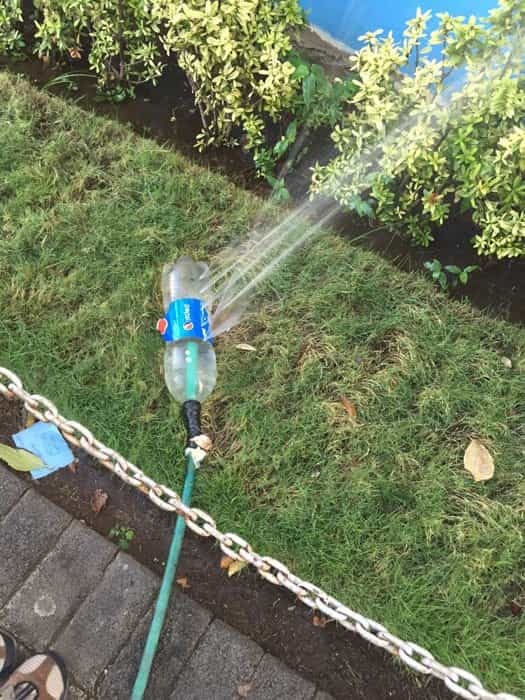 Some have been kind enough to share some simple hacks that will make your life easier in unexpected ways. Let's discover them! 30. Sometimes, it's annoying to wait for the first plate to heat up before adding another. 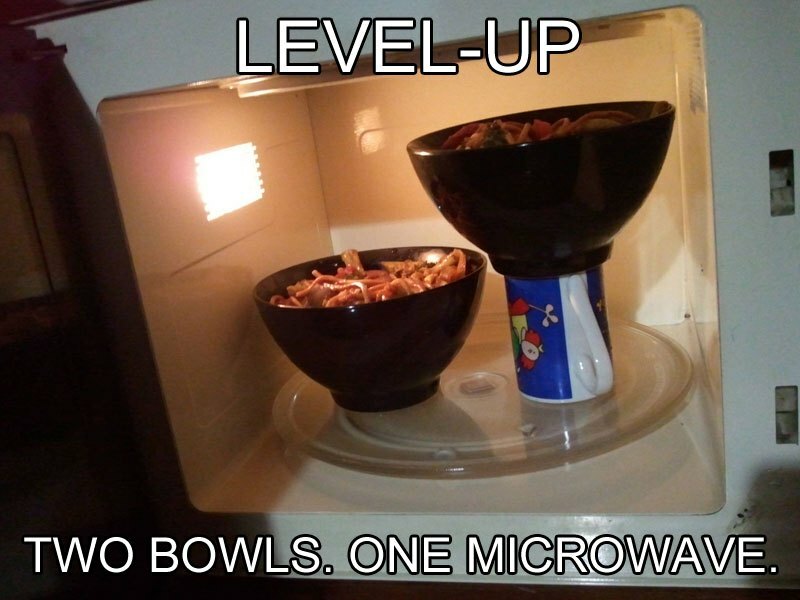 By the time the second bowl is done, the first one might have gone cold. This is the solution. 29. For some weird reason, the stands on our keyboards always end up breaking, even if we are really careful. Luckily, with the use of simple office equipment, you won't have to worry anymore. 28. 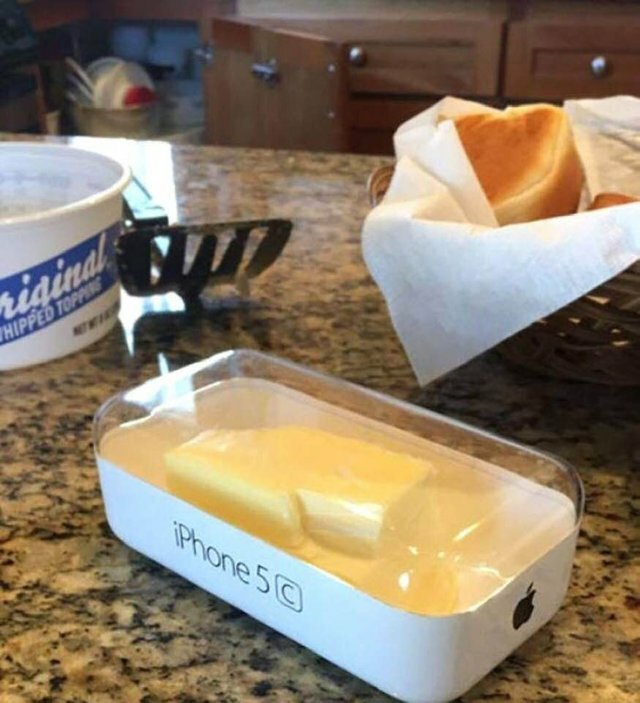 A Reddit user uploaded his grandma's new butter dish, and it's a clear use of the packaging of a very expensive phone. Anything can be repurposed. 27. 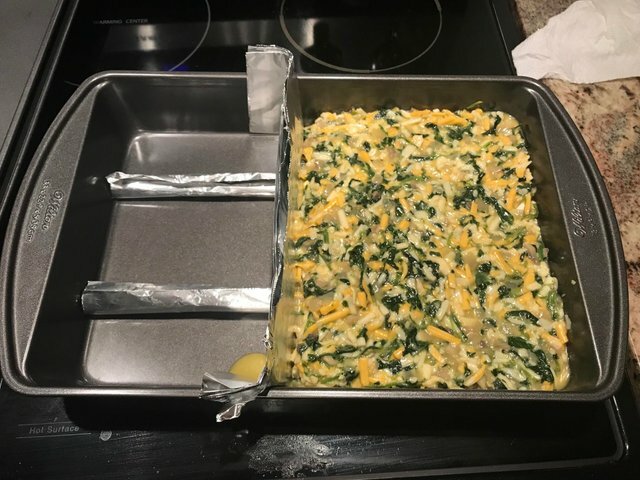 Even if you don't have the ideal-sized pan for a certain recipe, you can still cook to your heart's delight. You don't have to expend money on many different sizes. 26. Eating chips will always result in crumbs on your desk or on your shirt. 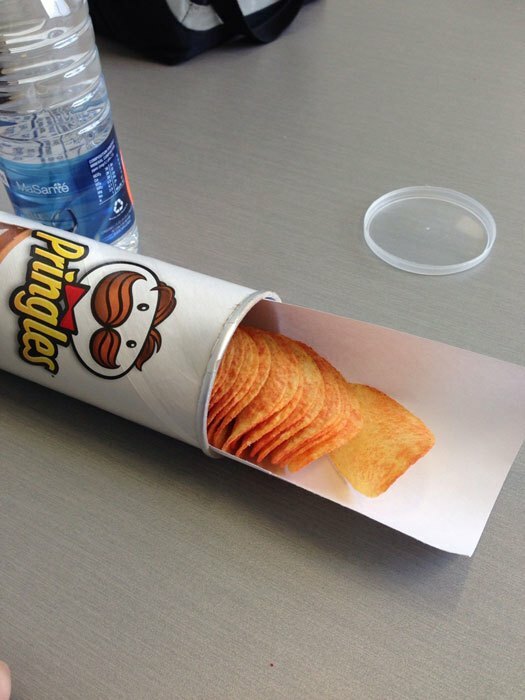 But, you can use a piece of paper for your can of Pringles and forget about that problem. 25. 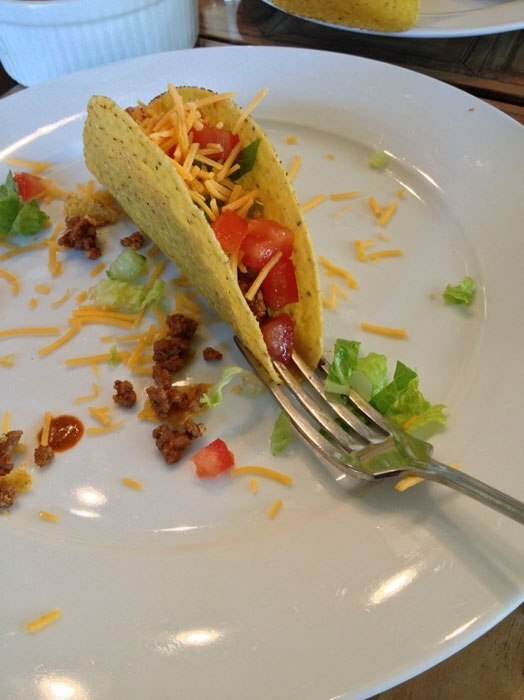 Eating tacos at home can be delicious, but it's always annoying that the filling falls out when you place it on your plate. No to worry, someone has revealed that using a fork is all you need. 24. As we mentioned before, anything can be repurposed, and there is no need to buy an expensive sprinkle when you have a soda bottle around. 23. 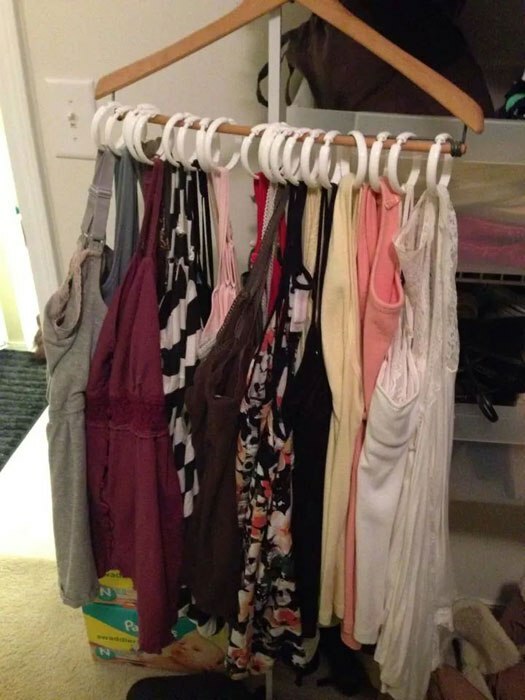 You can save a lot of space in your closet by using one hanger for all your tank tops. 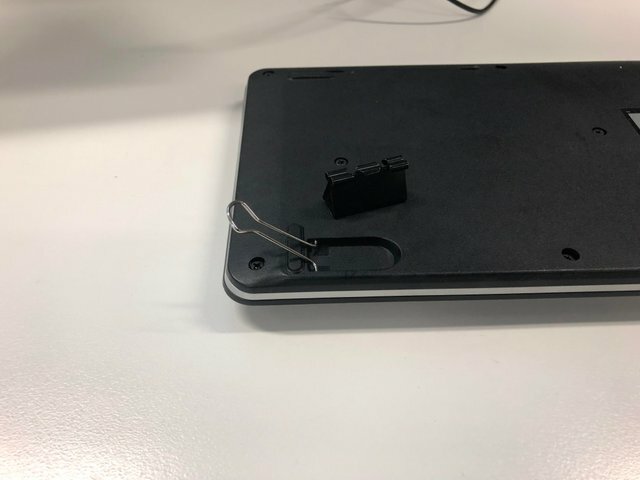 You just have to buy those handy-dandy clips that can probably found in most stores. 22. Another clever use of offices supplies in a different manner. 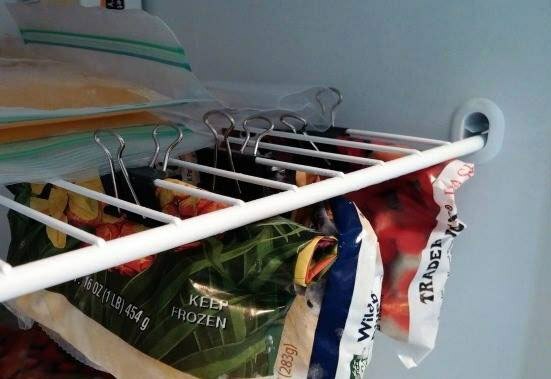 Sometimes, space in your freezer can be limited; so to avoid being hit by a veggie avalanche every time you open it, try this out. 21. 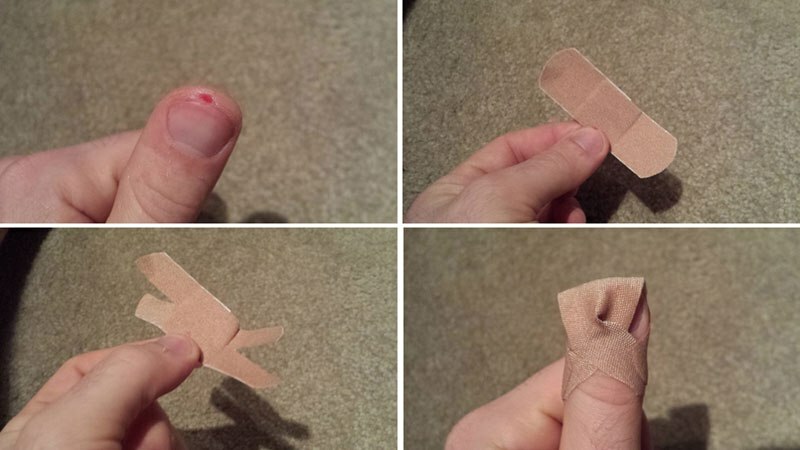 There is nothing worse than a bandaid that cannot cover your wounds well, and fingers are tough spots. However, you just need a scissor for some strategic cuts and presto! 20. 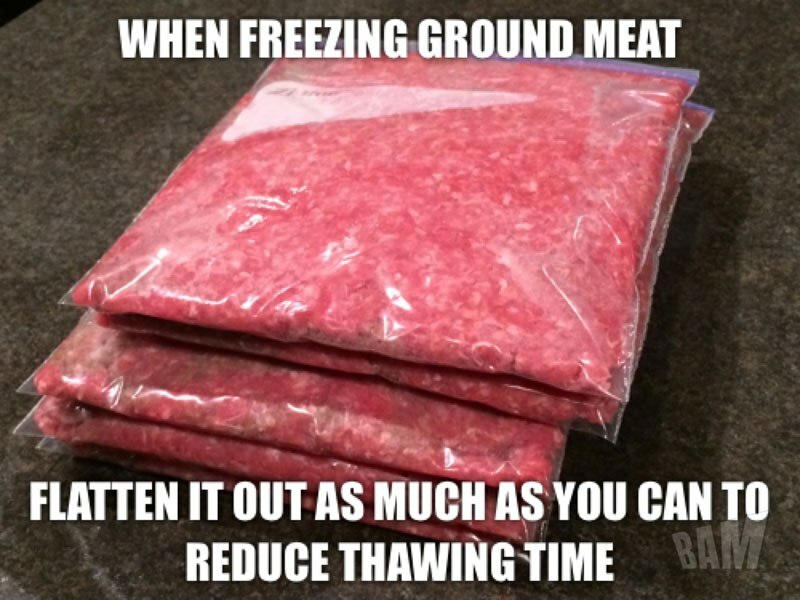 Again, freezer space is limited, but also defrosting can be a pain. This is the solution. 19. 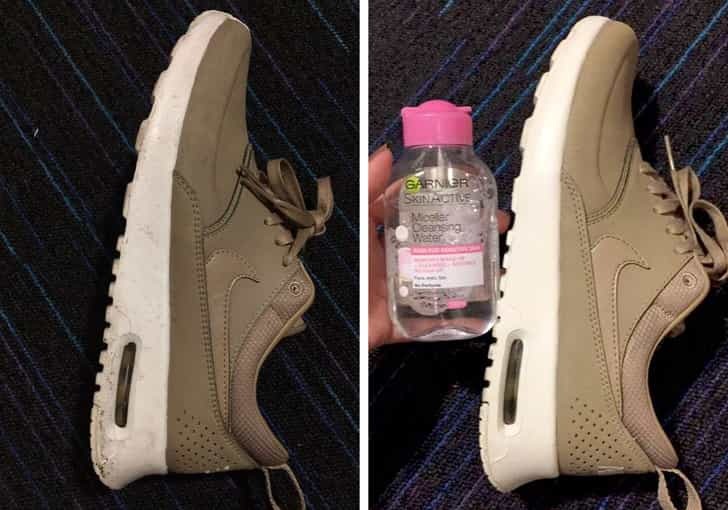 Micellar cleansing water, which is normally used for skincare, can also be used to clean that tough white part of your shoes. 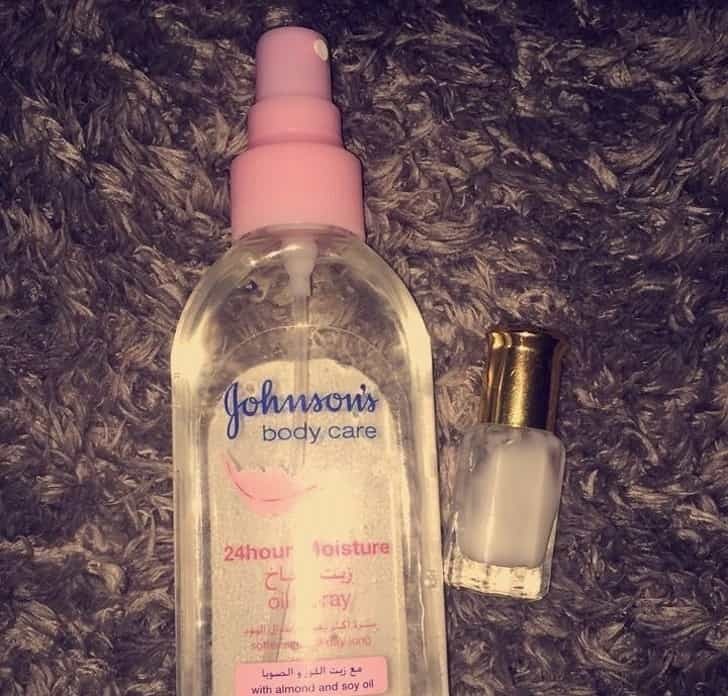 It's quick and effective! 18. 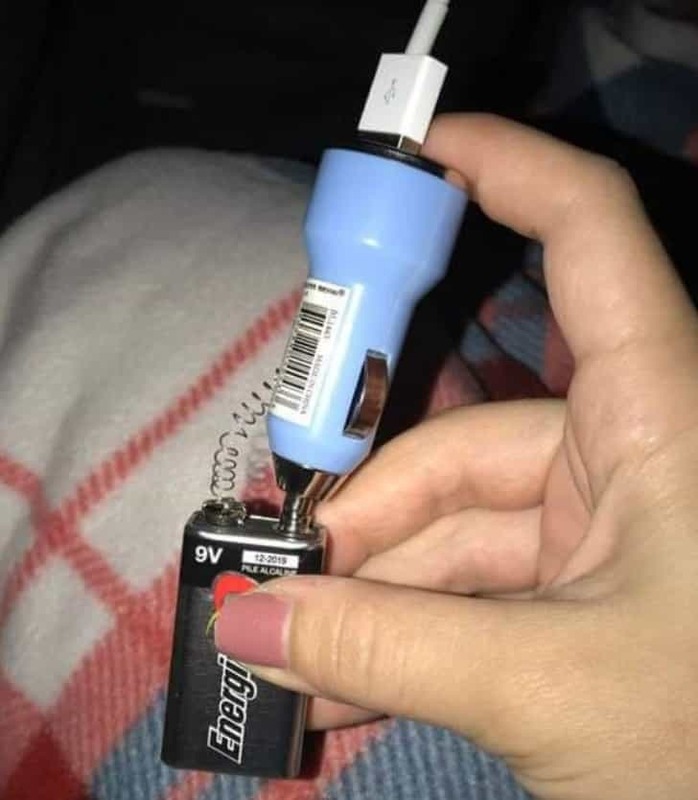 If you have no other way to charge your phone, this simple hack works. Some kids may not even know that these batteries ever existed, but you can still buy them. 17. 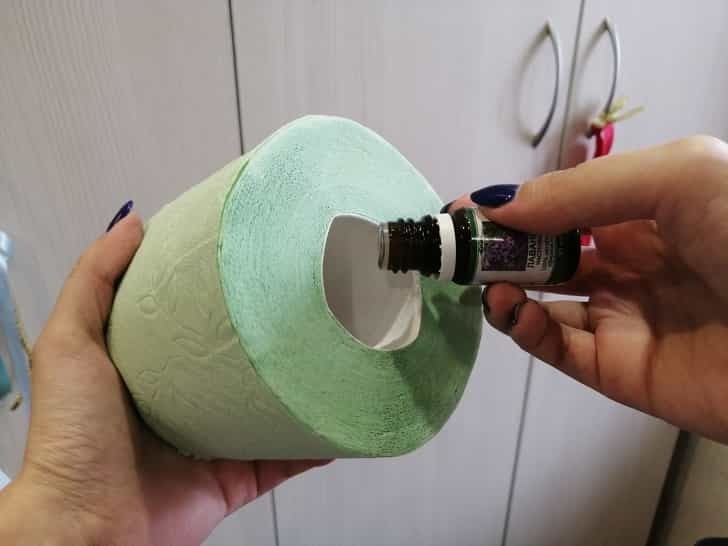 If you place a couple of drops of scented oil in your toilet paper roll, you will have the best-smelling bathroom. Also, you won't need to buy fresheners or potpourri. 16. 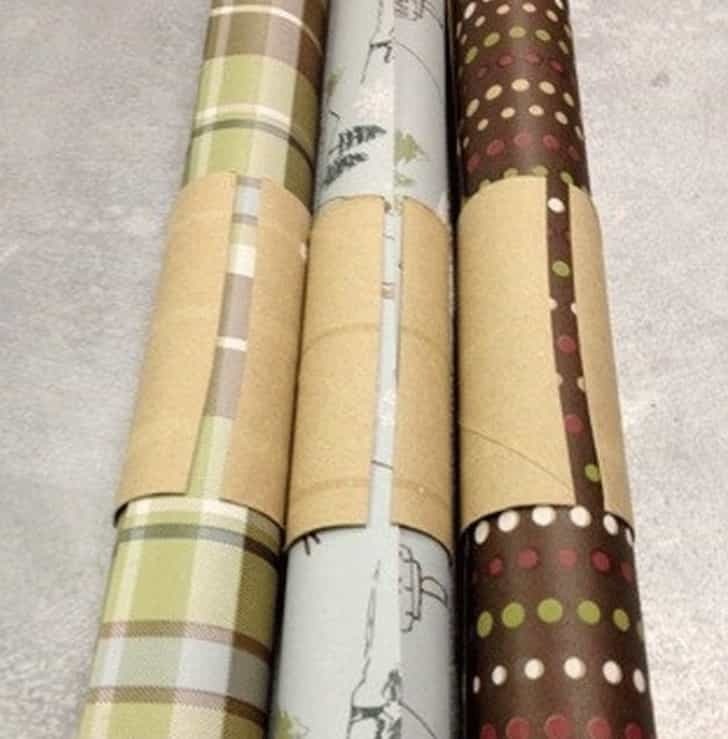 If you are the kind of person that saves a lot of gift wrapping paper, you can use a toilet paper tube to store them easily. Saving space is always best! 15. 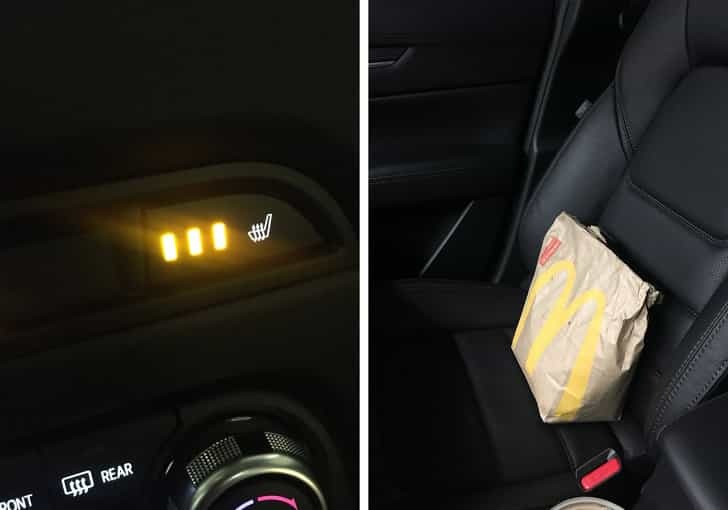 You can place your takeout on the seat and turn on the heater to keep it warm while you get home. While eating cold is not the worst, it's always best while it's warm. 14. Some hangers are just too slippery. 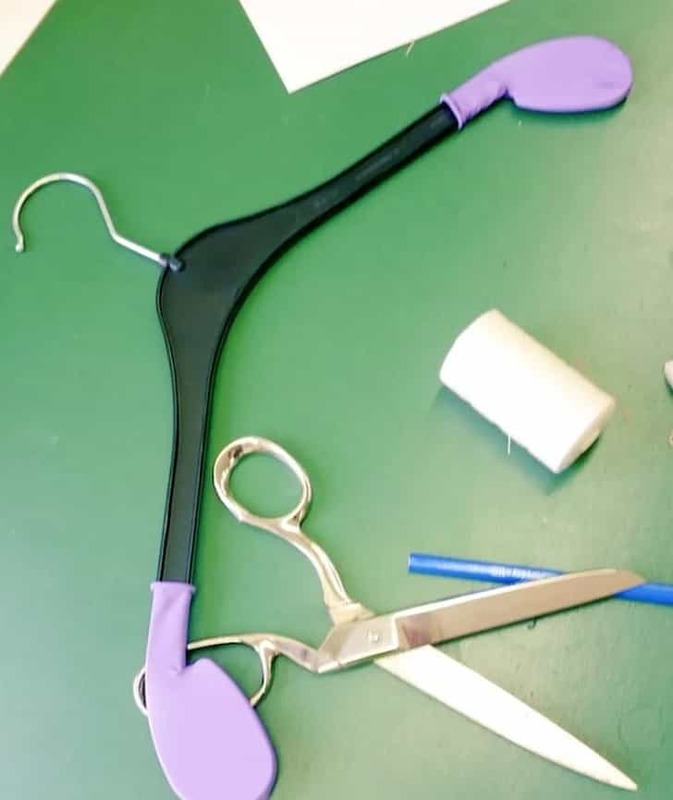 Therefore, if you do not want to invest in new hangers, try balloons in the corners to keep your clothes from falling off. 13. 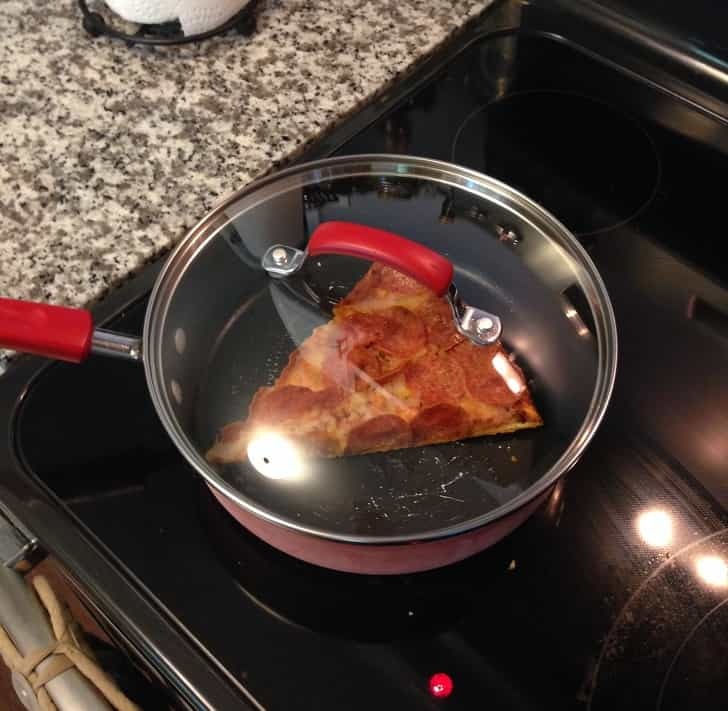 The best way to heat an old slice of pizza is not on the microwave but on a pan. Additionally, you can add a little more parmesan cheese on top. Just like a fresh one! 12. 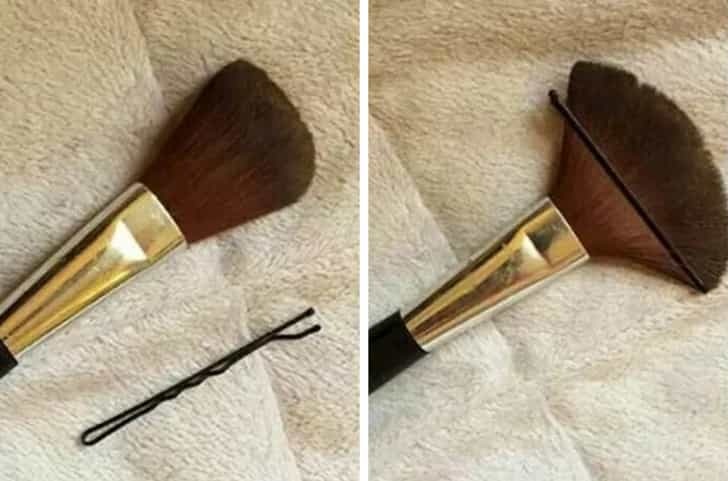 Sometimes we cannot afford different types of makeup brushes. The best thing you can do is find a hairclip, and there you have another kind. 11. 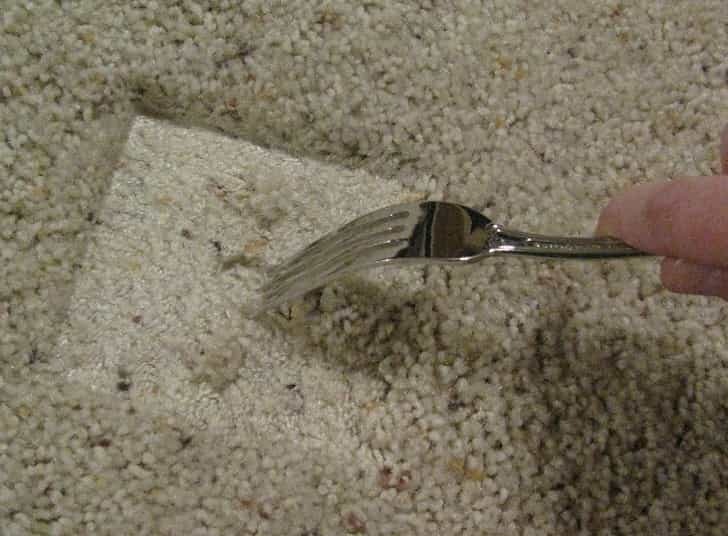 If your rug has crush marks from furniture or any other reason, you can use a regular fork to fix it. It will help the threads separate after such a long time being smushed together. 10. 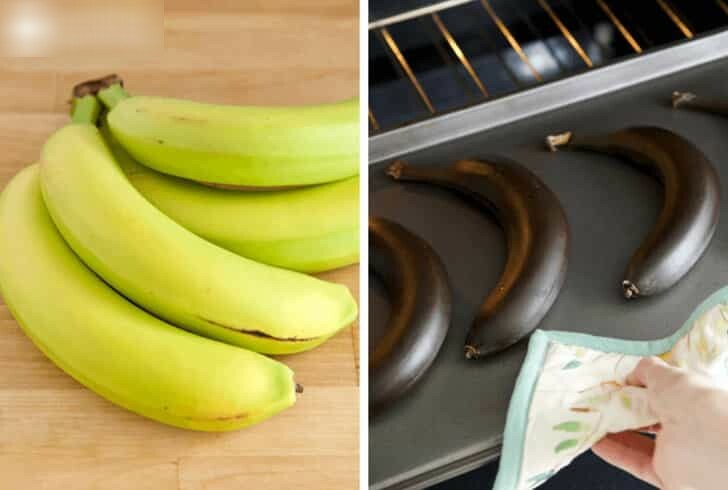 You can heat your bananas in the oven if they are still unripe. You just have to remove when they reach the perfect ripeness for your tastebuds. 9. 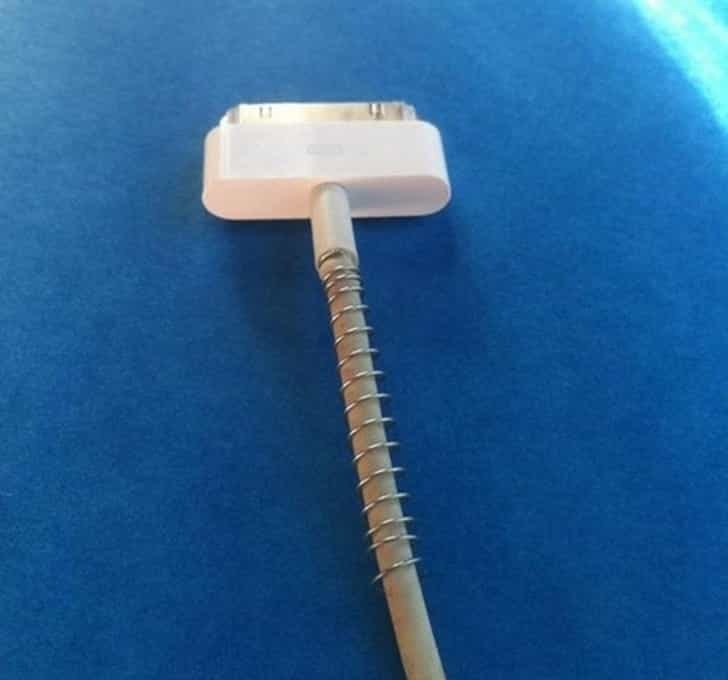 Unfortunately, cords tend to break easily, but you can use a spring to fix it enough so that it will work for a little while longer. 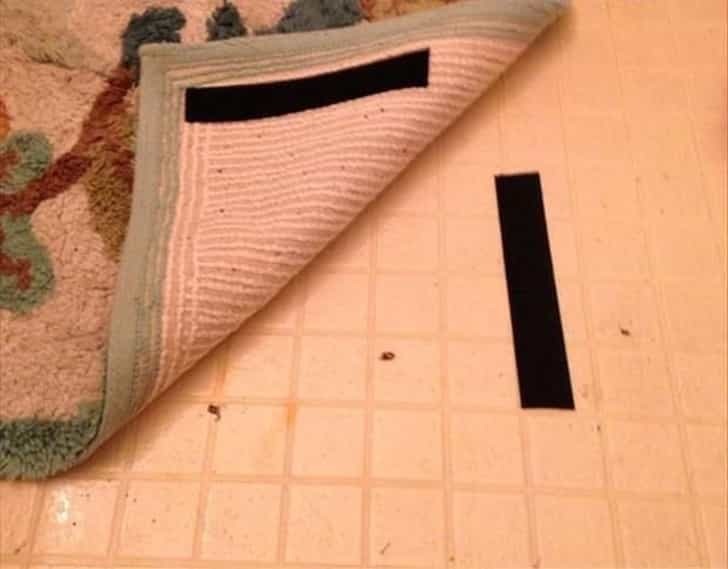 It will be better than using tape. 8. This is another use for toilet paper tubes. 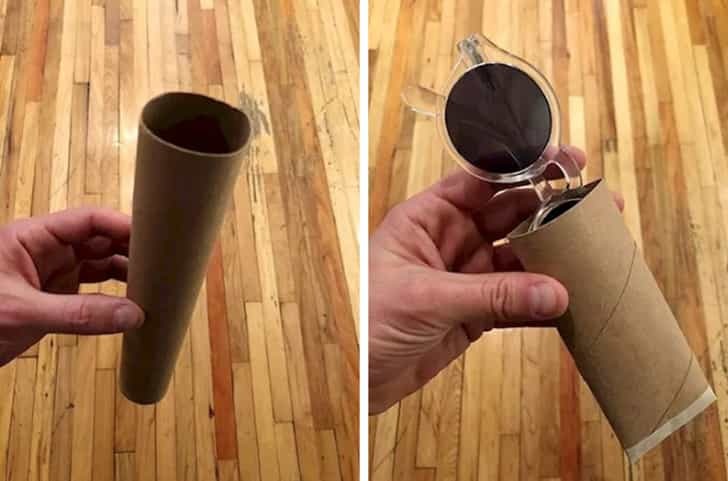 You can make your own sunglass case with one if you do not want to buy one from the store. It will keep your shades just as safe. 7. 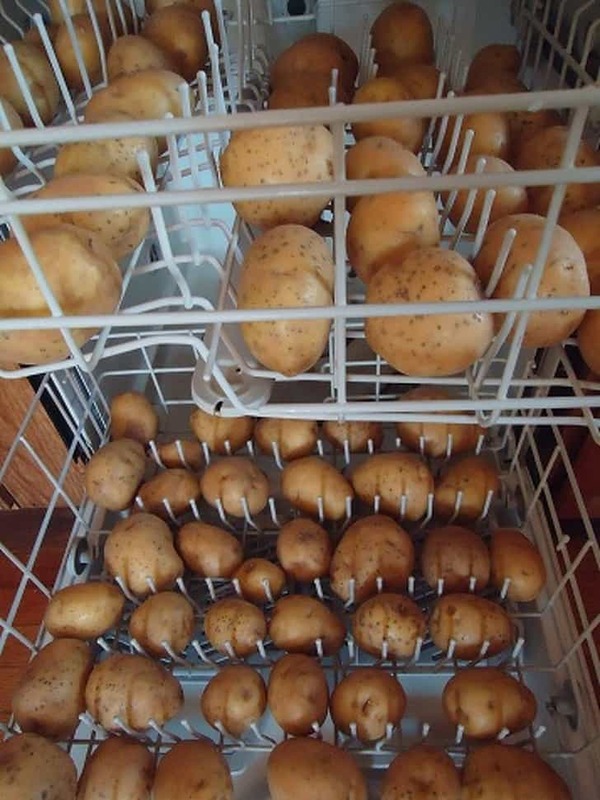 The best way to wash veggies, especially potatoes, is by placing them in the dishwater. This is will be a dream if you have a big dinner coming like Thanksgiving. 6. 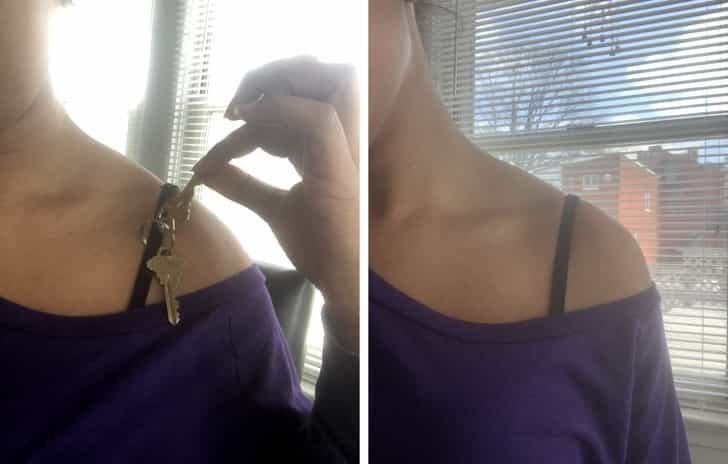 Sometimes, you do not want to take your bag to a party, but you could end up losing your keys if you place them in your pocket. This is the solution. 5. You do not want your rug from sliding all the time, you can use Velcro to keep it in place. It's easy and simple to remove if you want to clean or redecorate. 4. Sometimes, you cannot figure out why the door does not work properly. 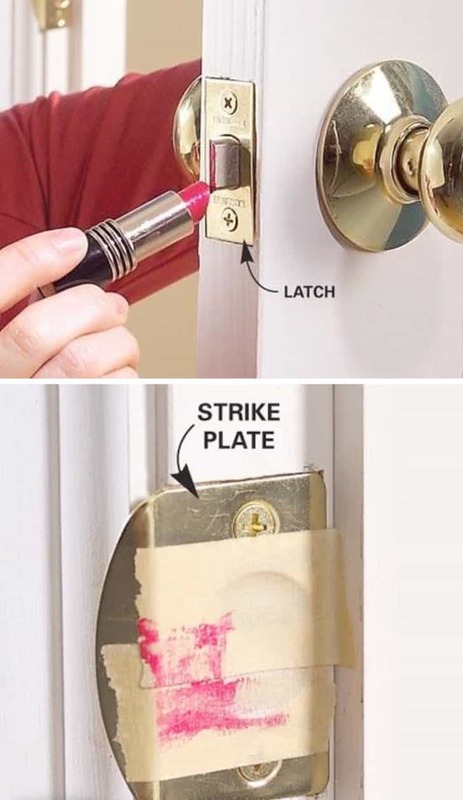 If so, just add lipstick to the latch, and tape on the strike plate to discover where the latch hits the plate. You can adjust from there. 3. It's often maddening when the scent from your perfume does not last long. However, if you add oil all over your body first and then the cologne, it will hold for a long time. 2. 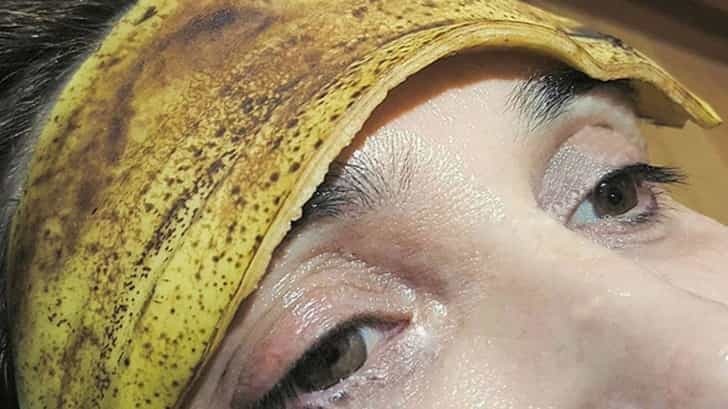 If you do not have a painkiller or cannot take one for some other reason, try adding a banana peel on your forehead when a headache hits. The potassium in it will help. 1. 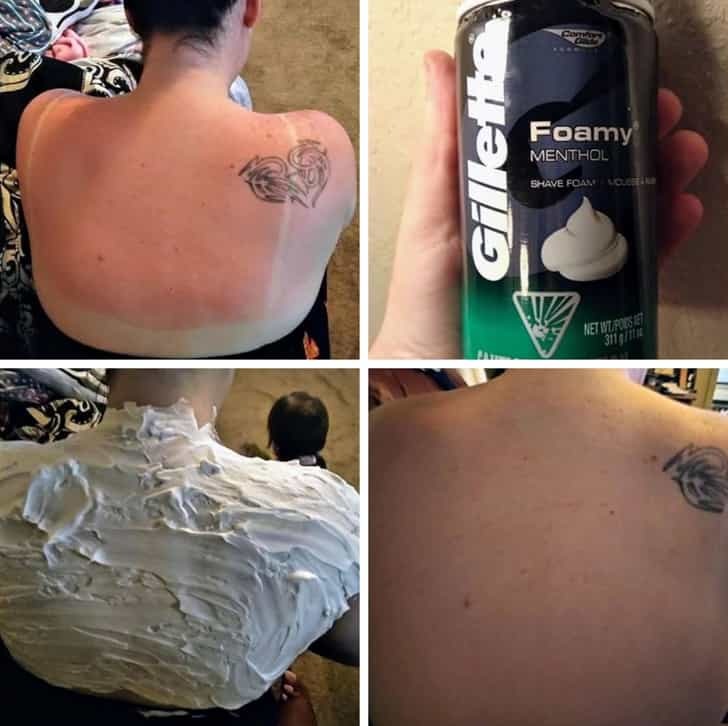 A bad sunburn is the worst, but you can ease the pain by using Menthol shaving cream. Put in your skin without rubbing for about 30 minutes and rinse. You can repeat as many times as you need. We will definitely be applying some these wonderous ideas into our daily life. Let us know which one was the most insightful. If you liked this article, share it with your friends who really need these handy suggestions. See you next time!